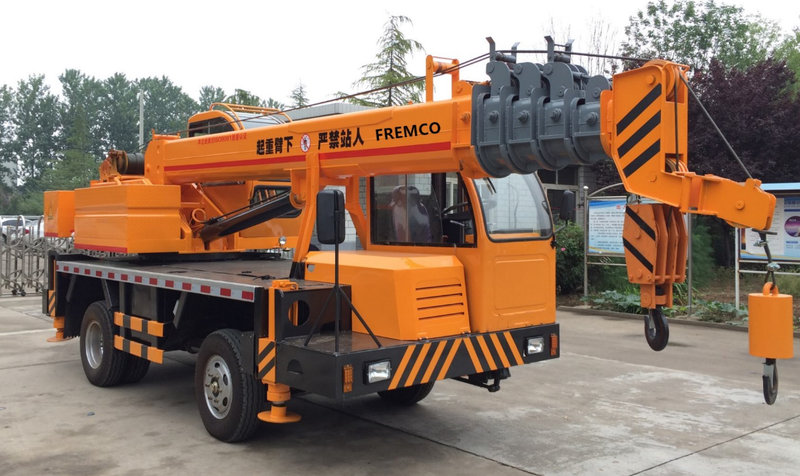 Product categories of 6 Tons Crane, we are specialized manufacturers from China, Small Truck Crane, Truck-Mounted Hoist suppliers/factory, wholesale high-quality products of Truck Crane R & D and manufacturing, we have the perfect after-sales service and technical support. Look forward to your cooperation! Adopt double industrial automation control engine, featuring strong power and energy efficiency. Under the economical mode, it can meet the engine power requirement of the normal lifting work. under the high power mode, it can meet the requirement of the high challenge and high efficient lifting work. Adopt the high power radiator, avoiding the system from bad cooling, solving the problem of oil overheating, and prolonging the service life of the hydraulic oil. Adopt the advanced matching technique, which makes the design more scientific. It can reduce the consumption of the mechanism, prolong the service life of the machine, and has high residual value.